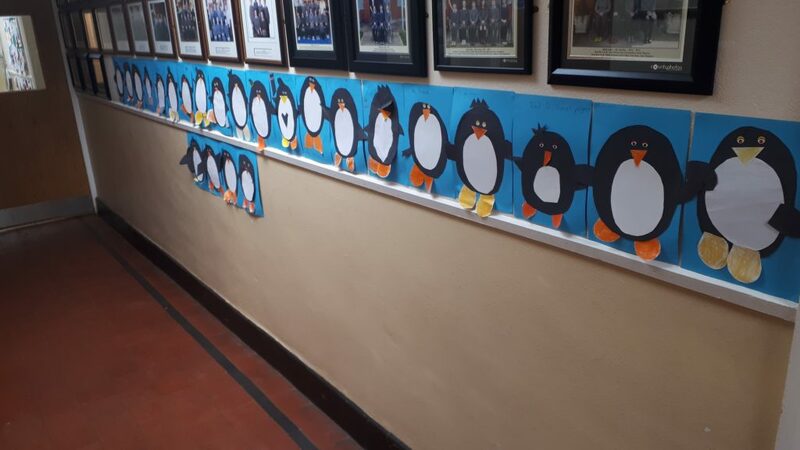 After the mid-term break. 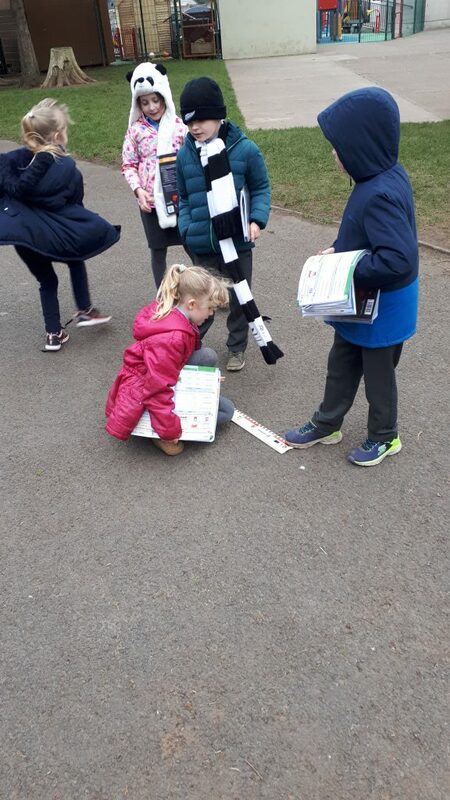 We went back to school. 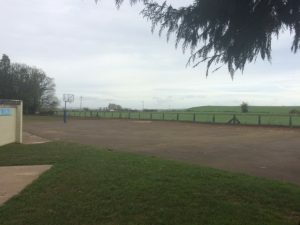 But when I walked into the school, the trees were gone and there were tractor marks on the grass. 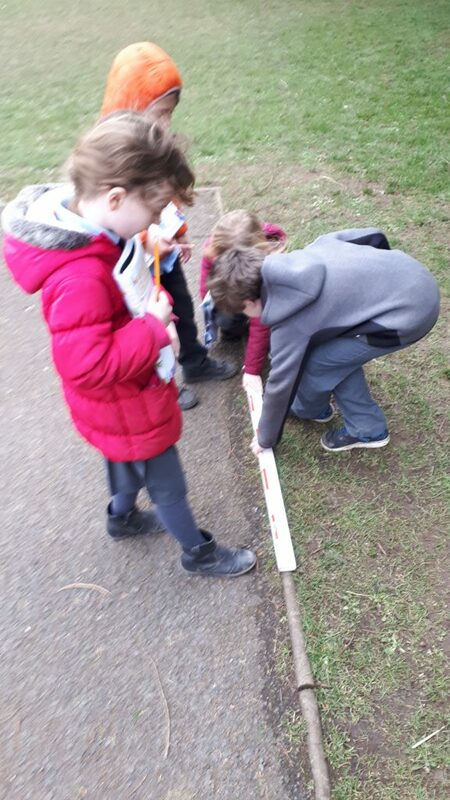 The man took the roots out of the grass.”Oh no!” but it was cool. 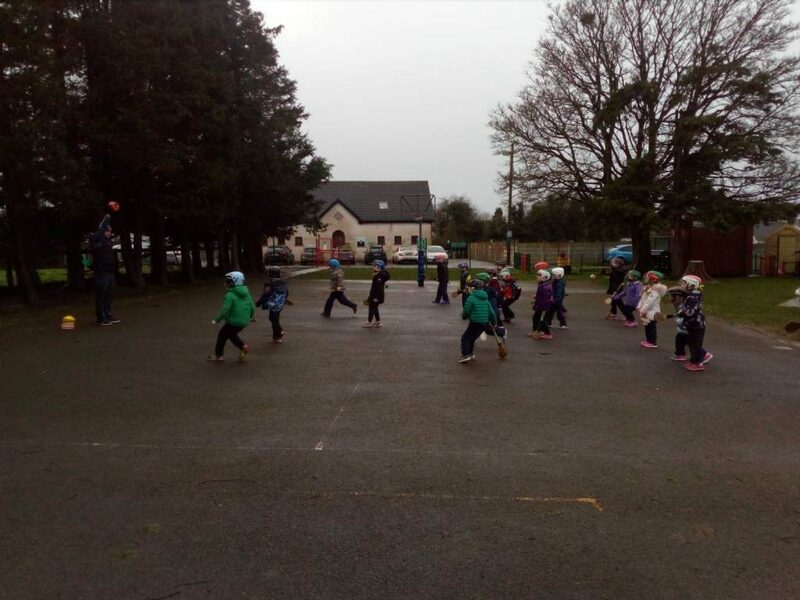 Calum, Fionn, Jack, Harry, Archie, Dean and me had a race. 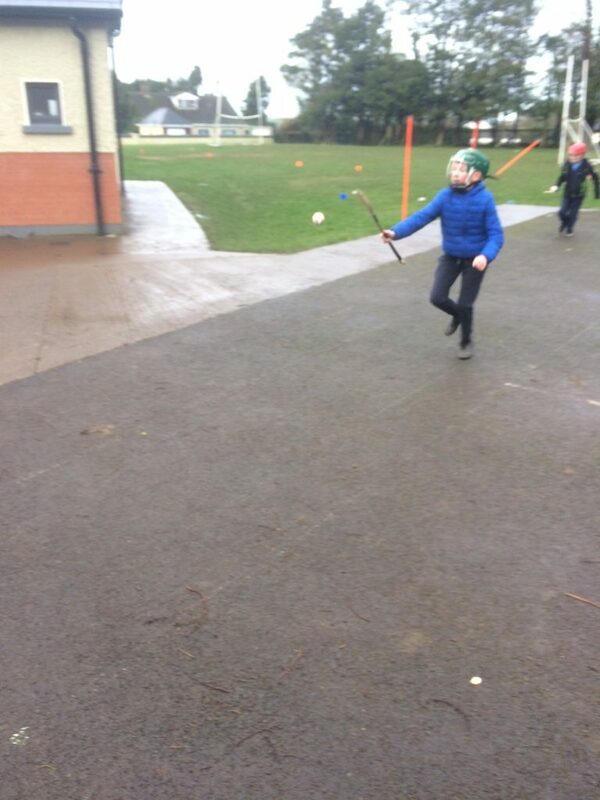 “3,2,1 go!” Fionn won. 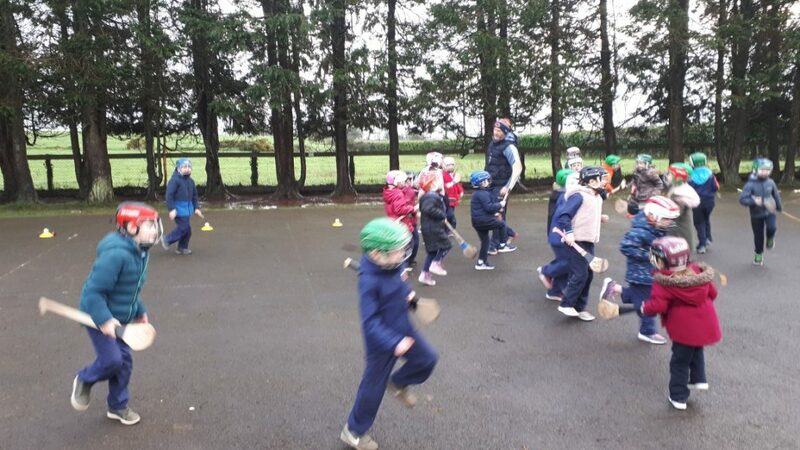 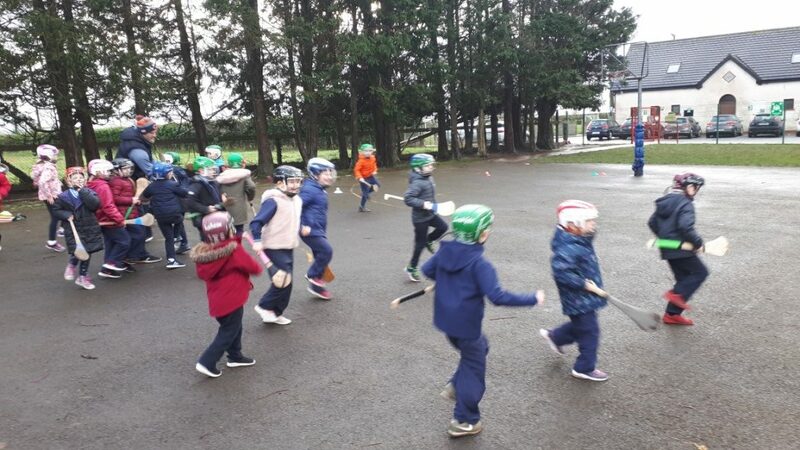 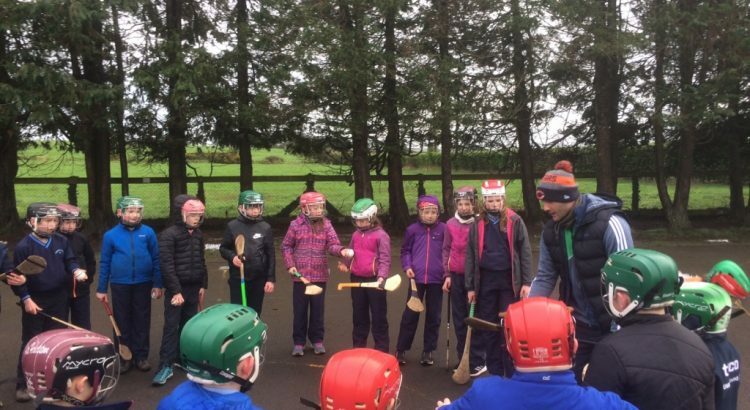 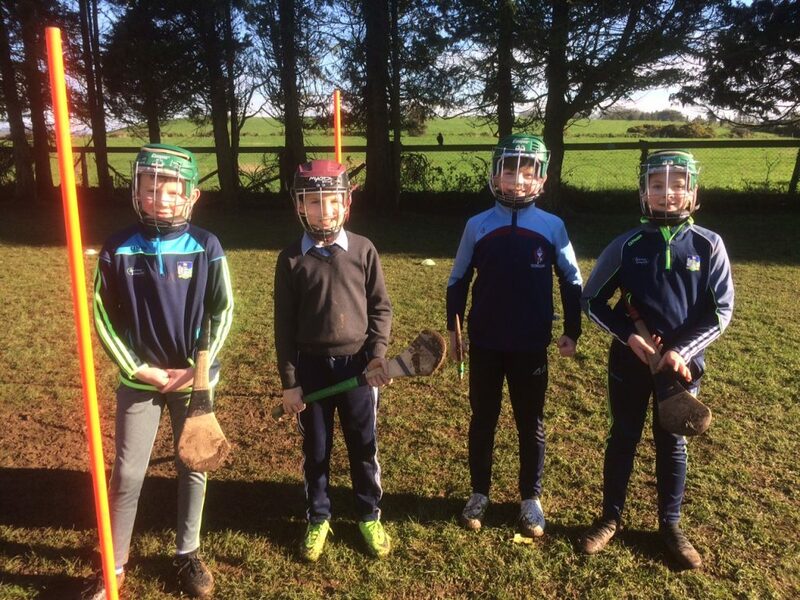 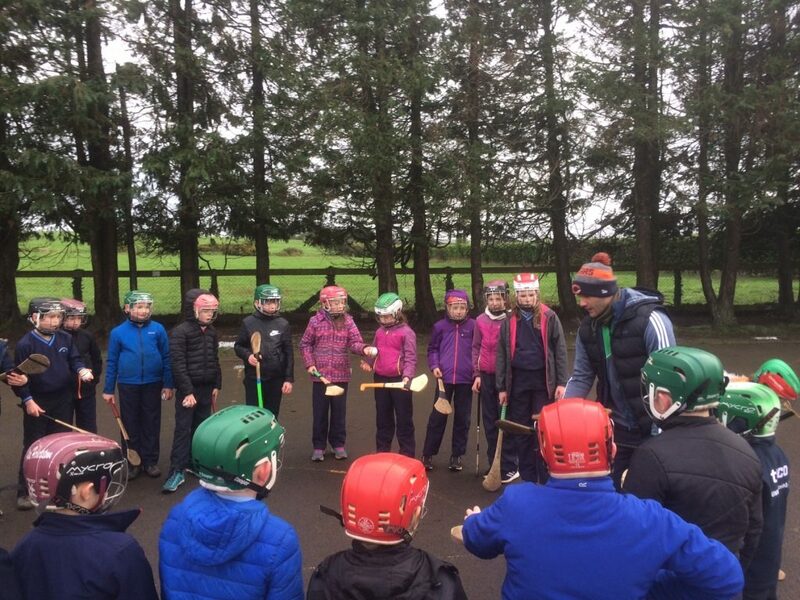 A big thanks to Limerick GAA GDA James Ryan who coached all classes in the school in hurling prior to the mid-term break. 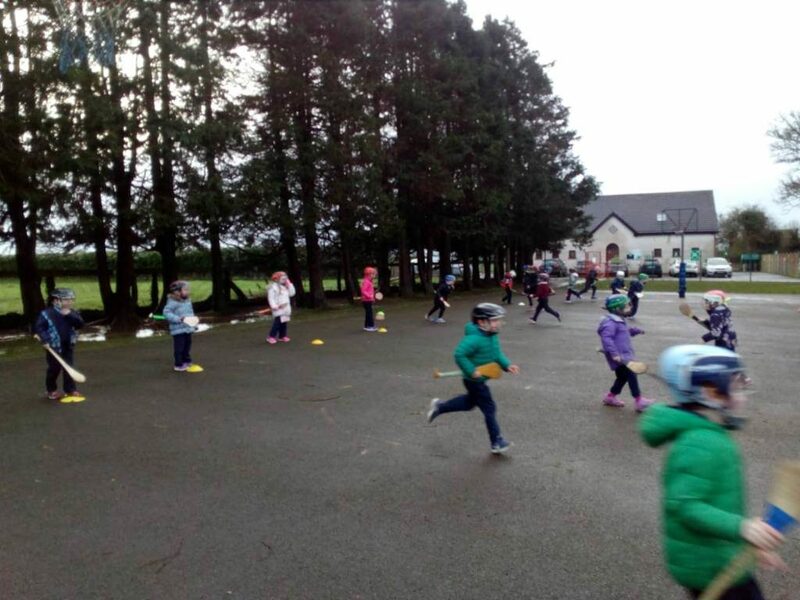 The children had a lot of fun and also got excellent practise with the skills of the game. 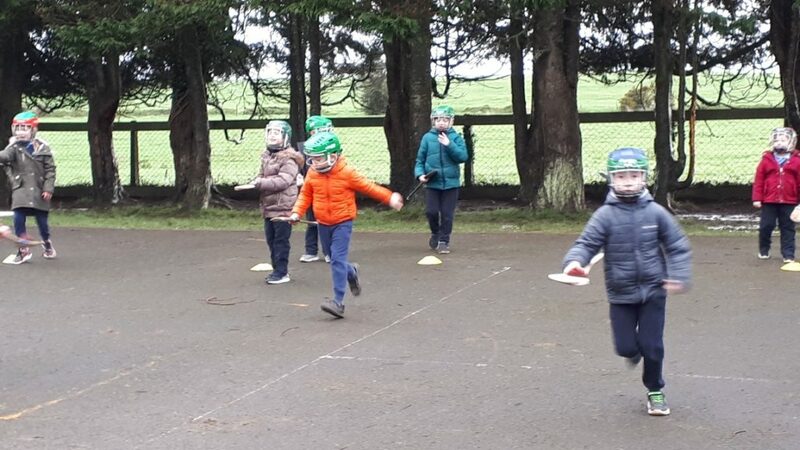 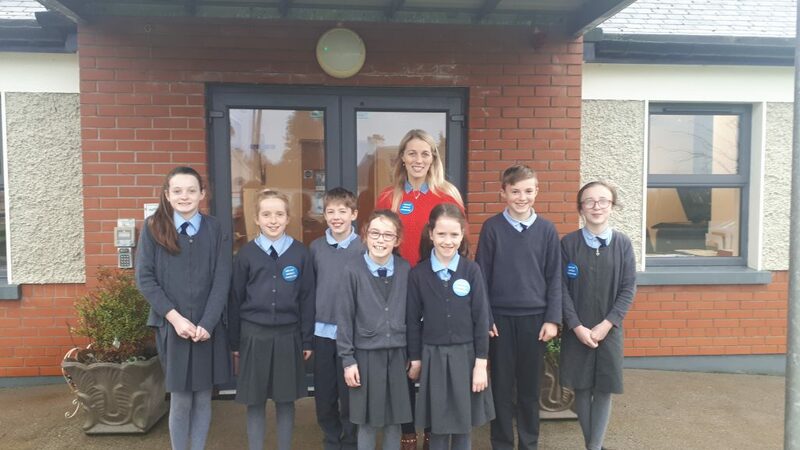 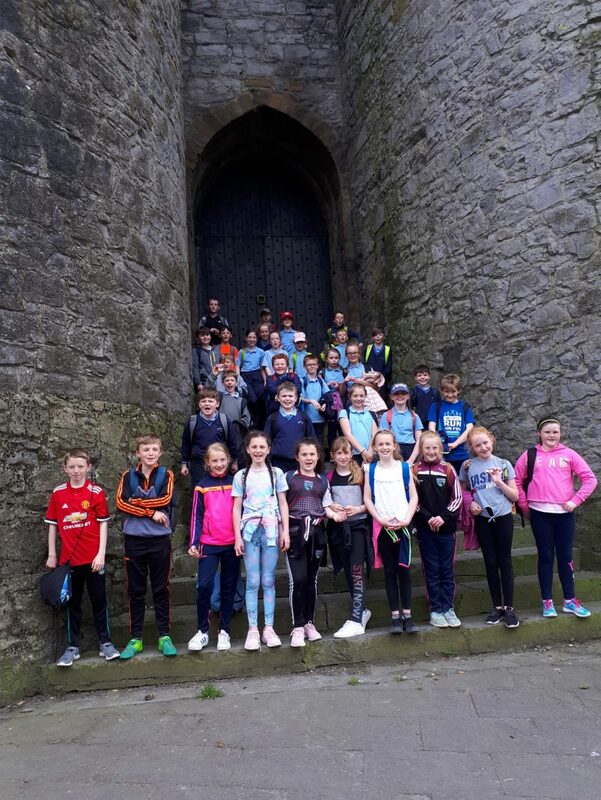 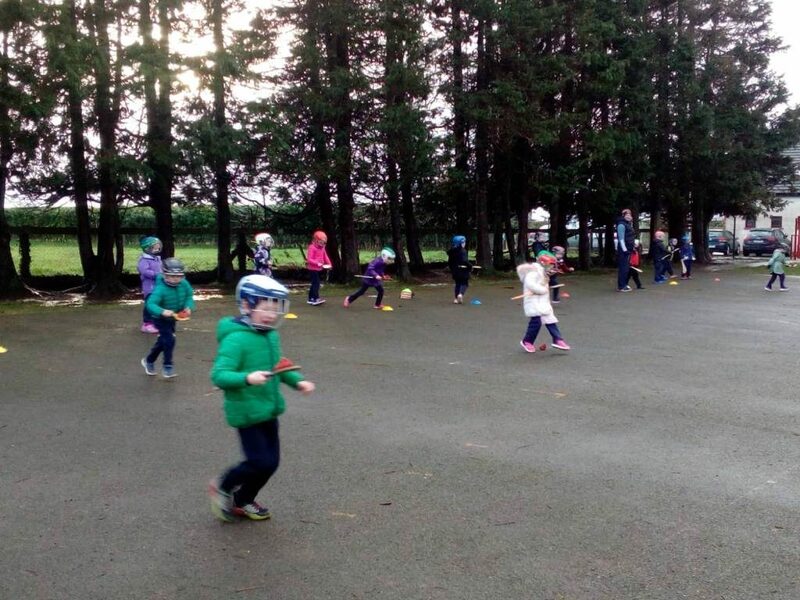 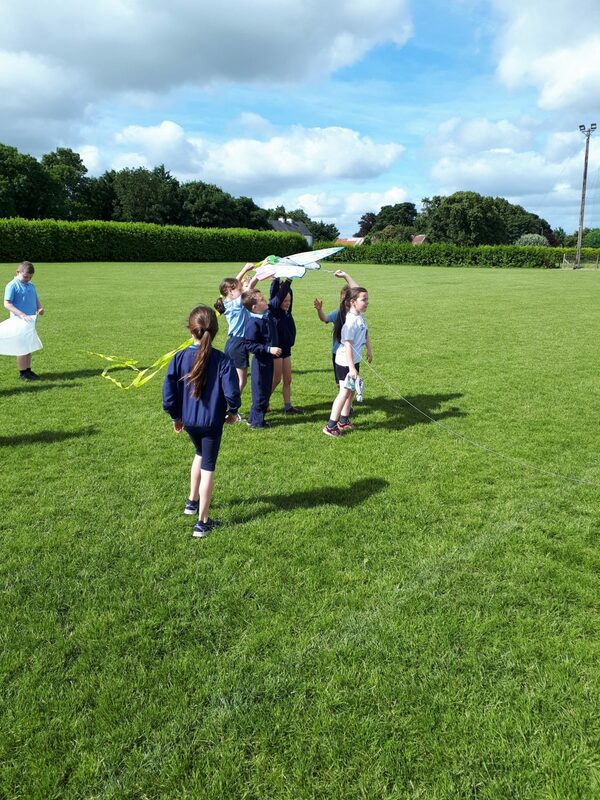 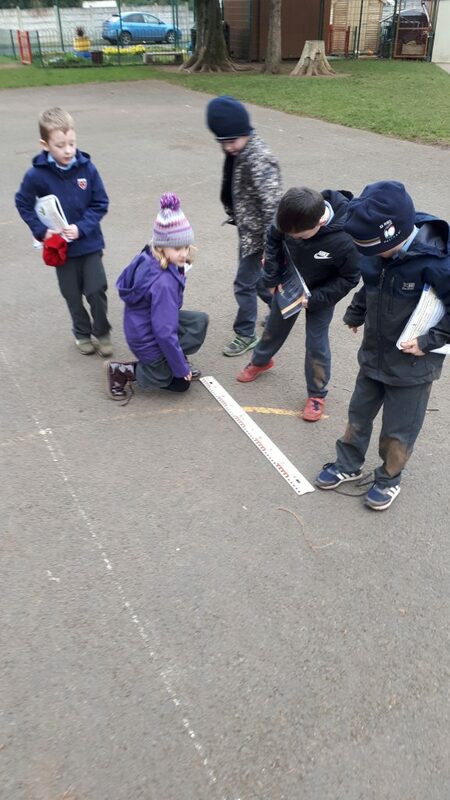 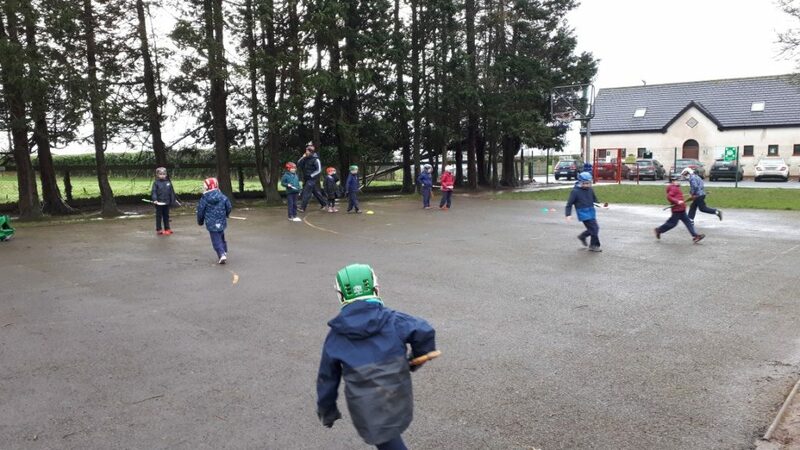 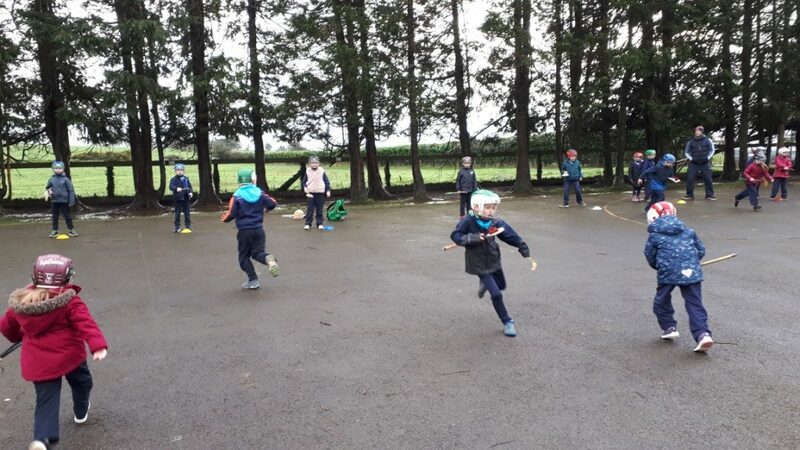 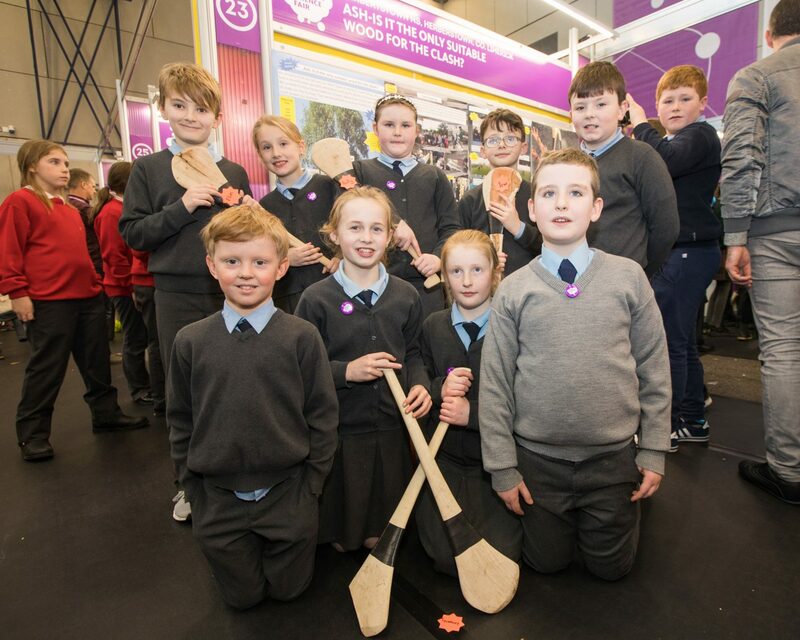 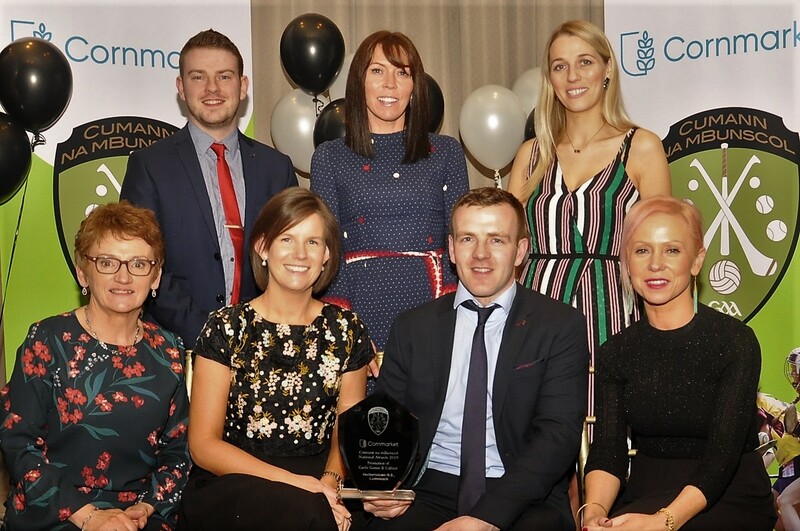 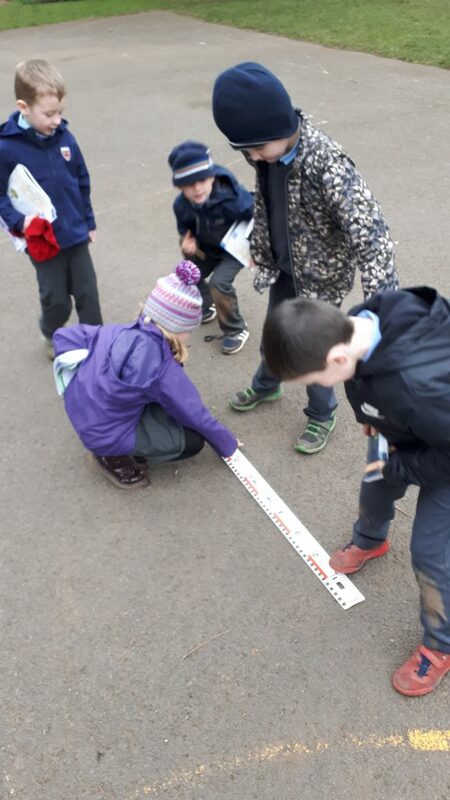 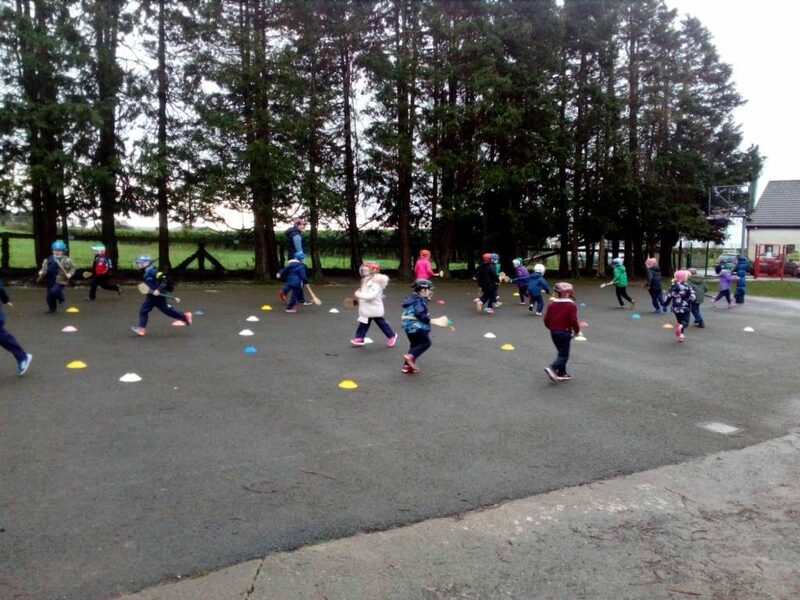 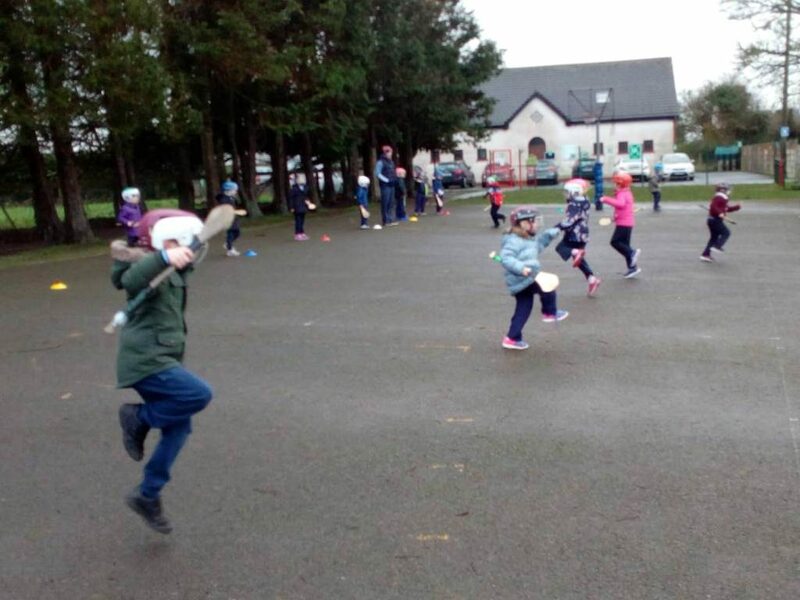 The school is working towards renewing its Active School Flag and securing GAA 5 Star Centre status and the work James did with the children was a huge help towards these goals. 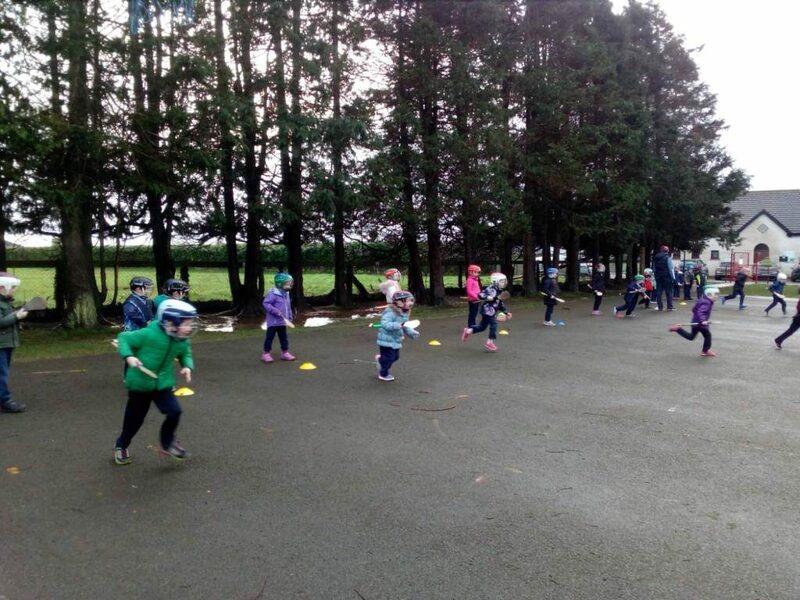 Well done to the boys and girls for the great effort they made with James in sometimes very cold conditions! 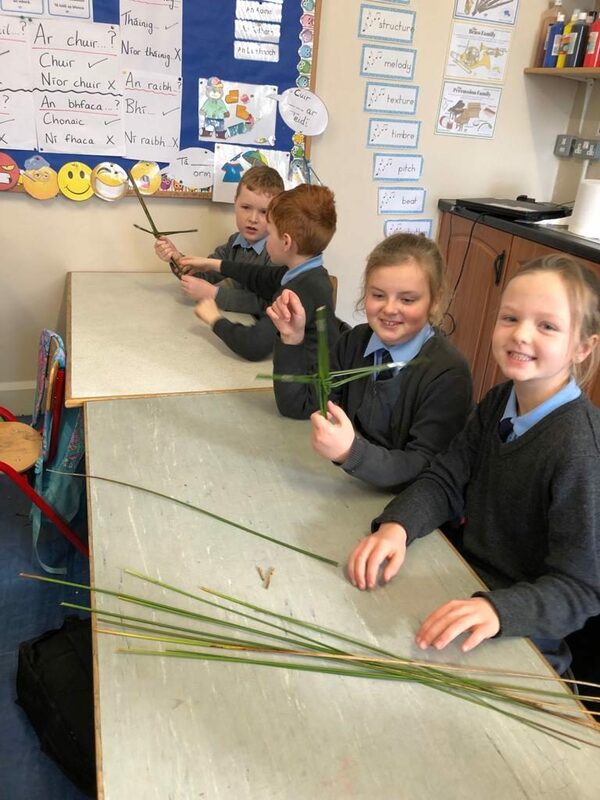 Here are some of the latest activities in the Seniors/1st classroom. 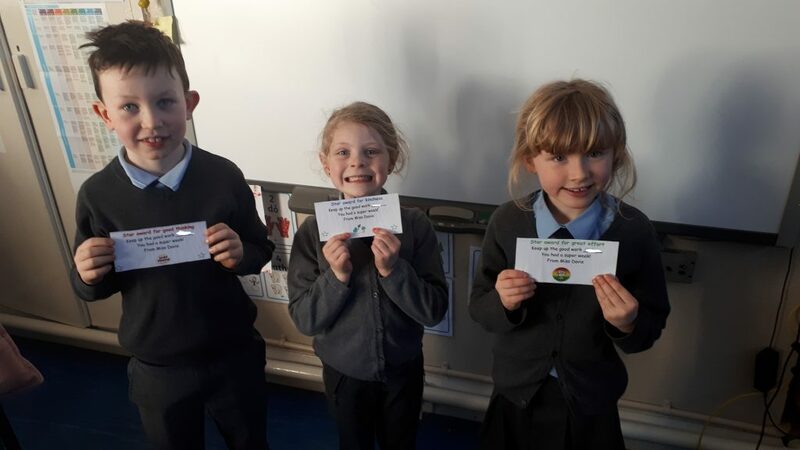 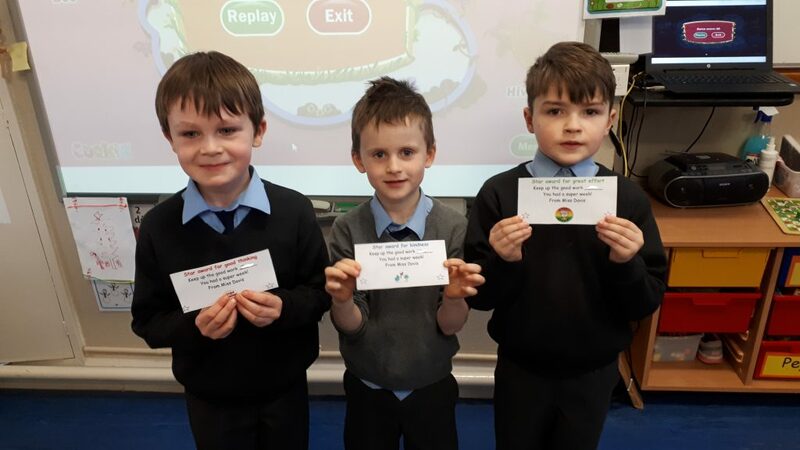 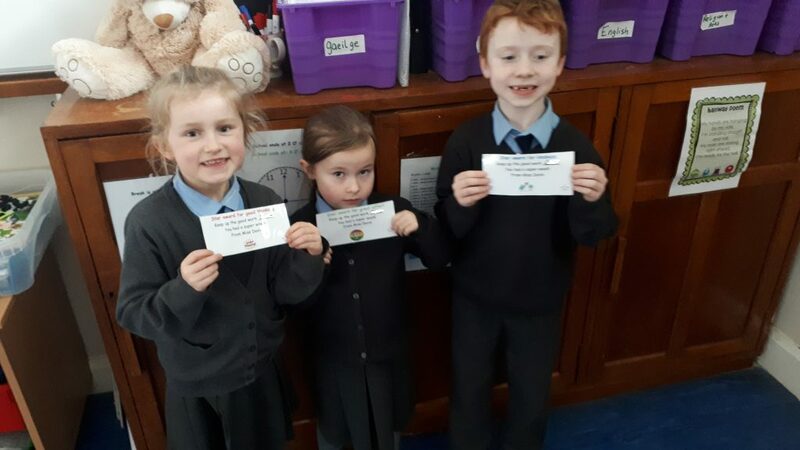 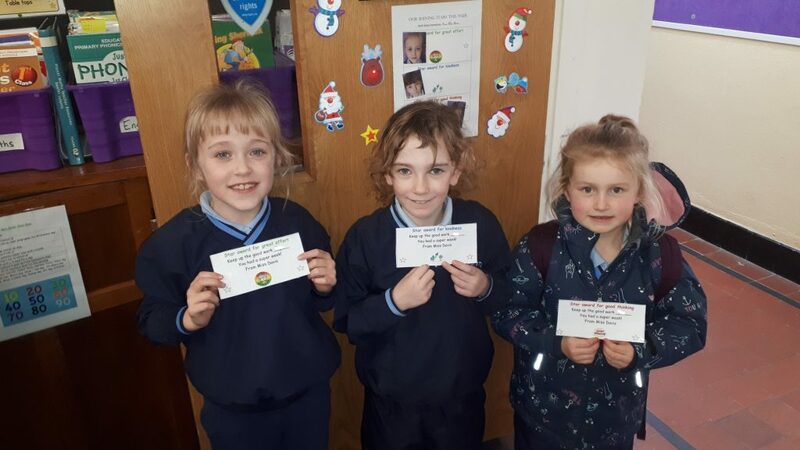 Congratulations to our medal winners in the recent Community Games Handwriting Competition! 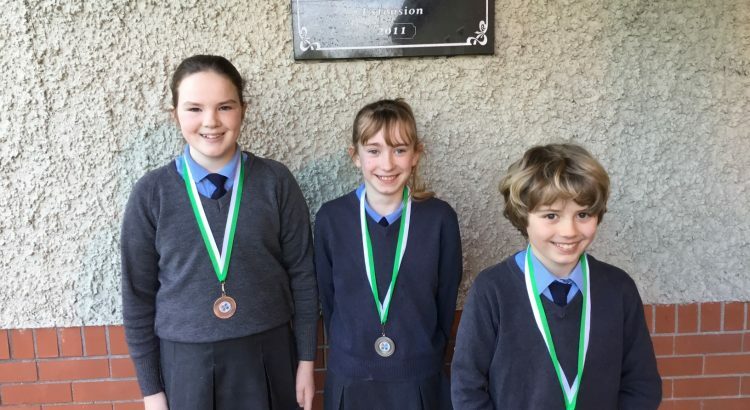 We had a gold medal winner in the U10 category and a silver and 2 bronze in the U12 category. 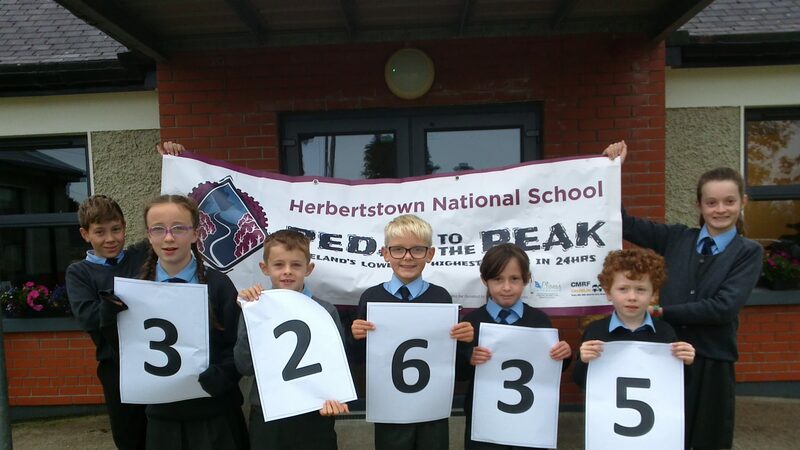 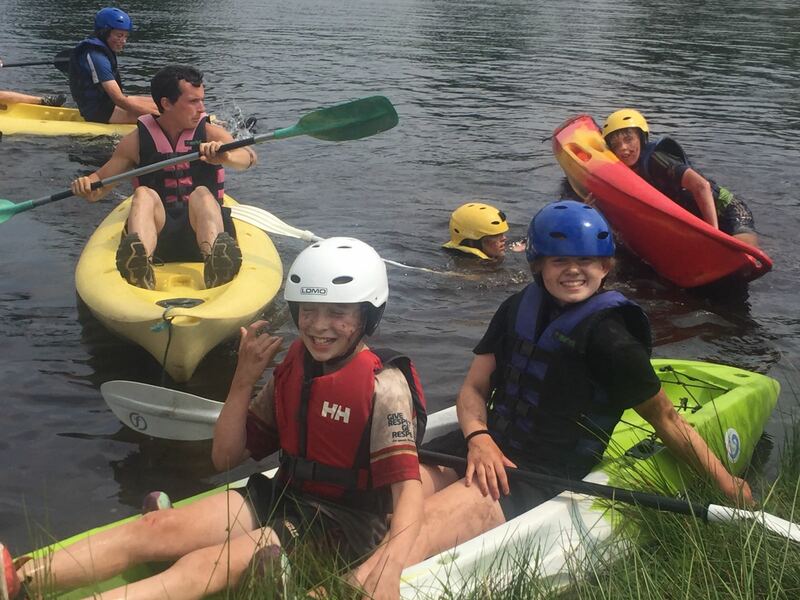 These pupils will now move forward to the next stage later this month. 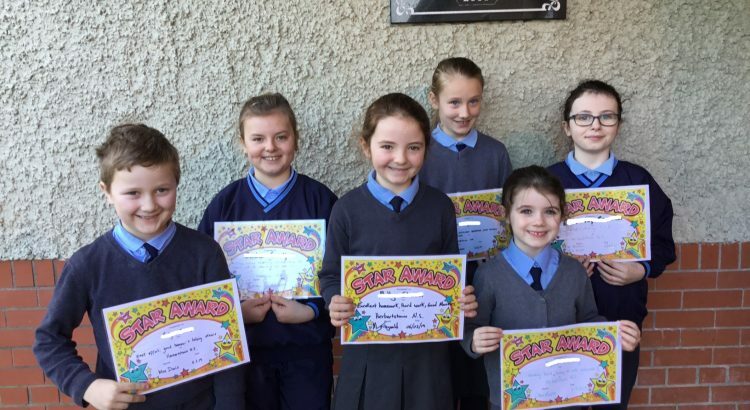 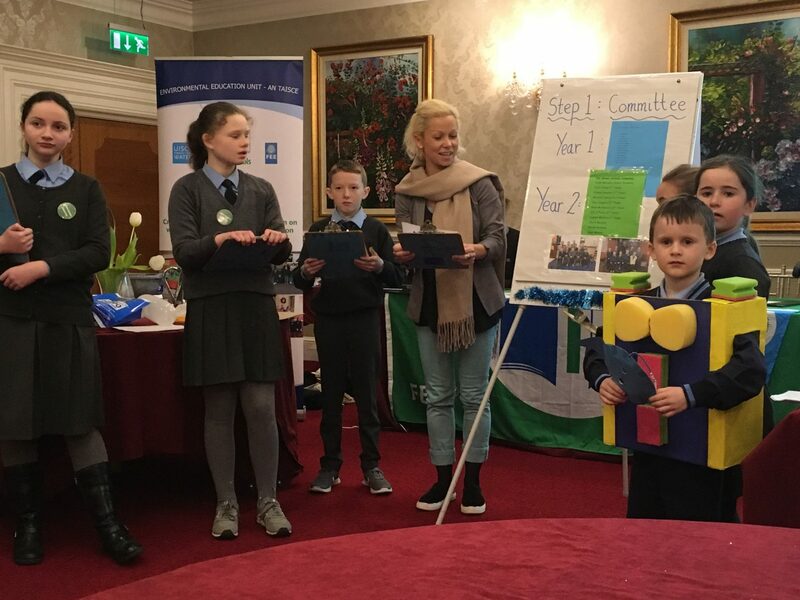 Herbertstown NS had a very successful night at the Millennium Centre in Caherconlish on Monday night, where our 4 quiz teams took part in the Credit Union Quiz. 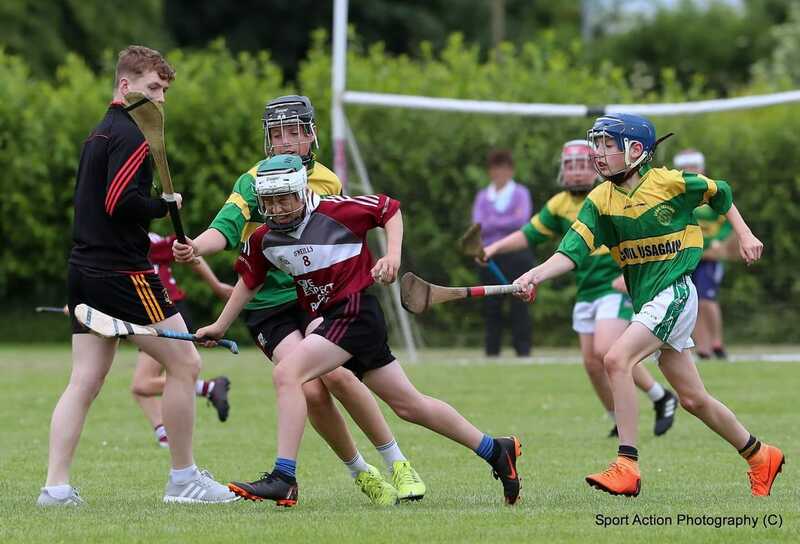 The school entered 2 teams in the under 13 category and 2 teams in the under 11 category. 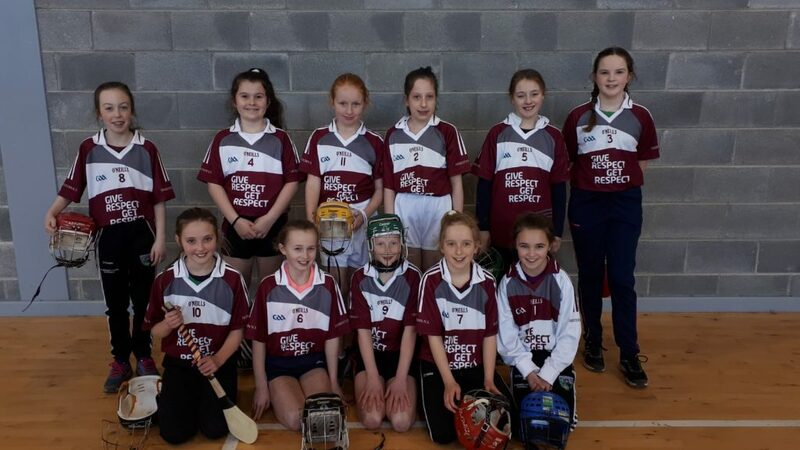 In the u11 category, both our teams were tied for second place. 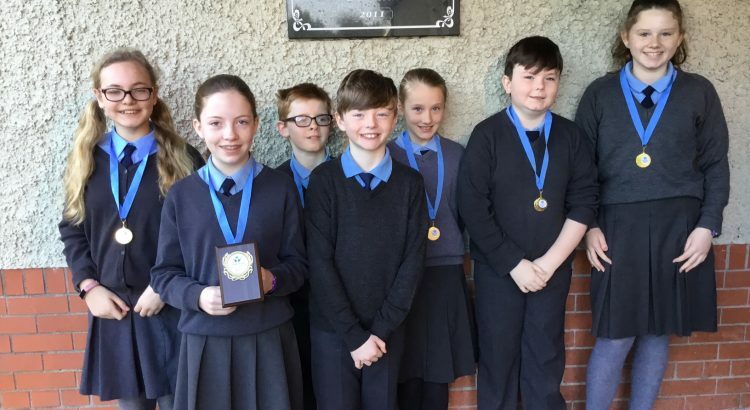 Following a tie-break round, one team were awarded second place and picked up some prizes. 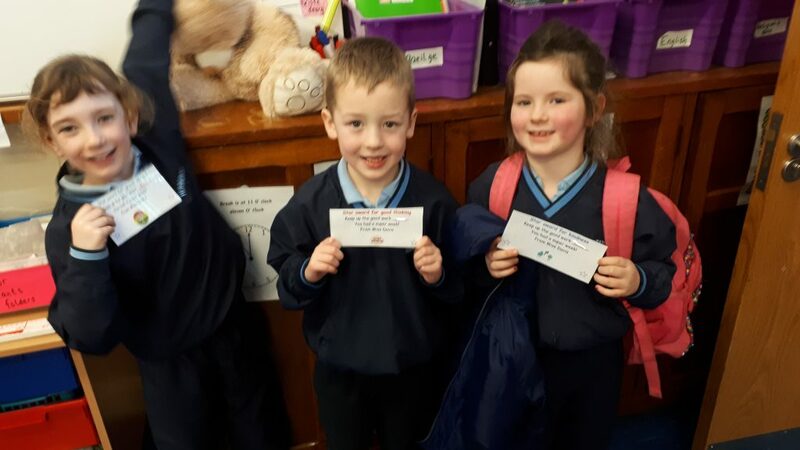 Congratulations to all who took part. 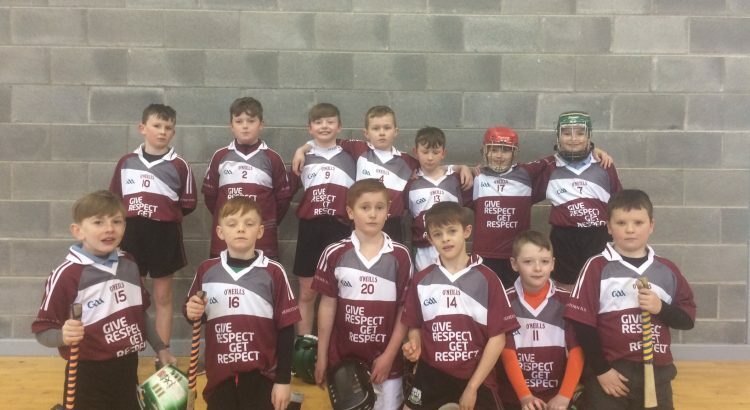 Our u13 team now go forward to the next stage in March. 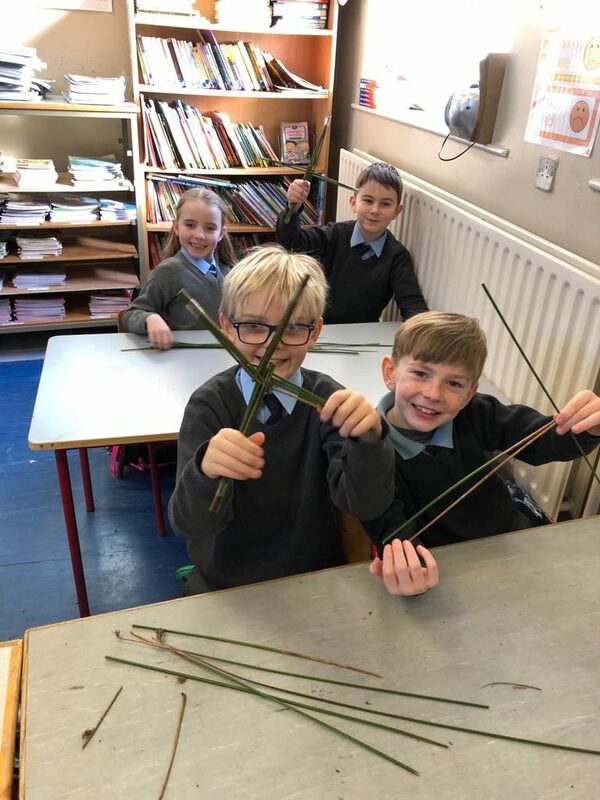 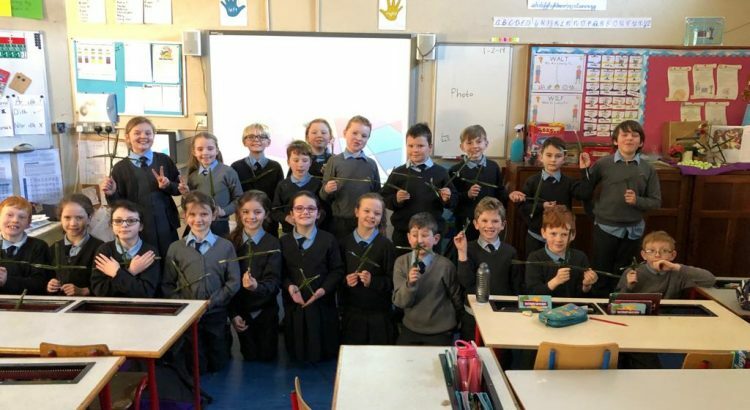 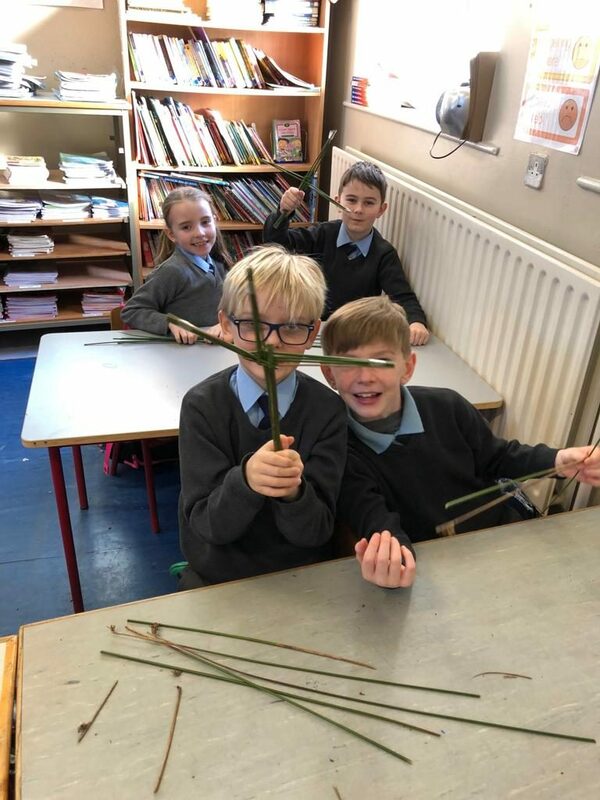 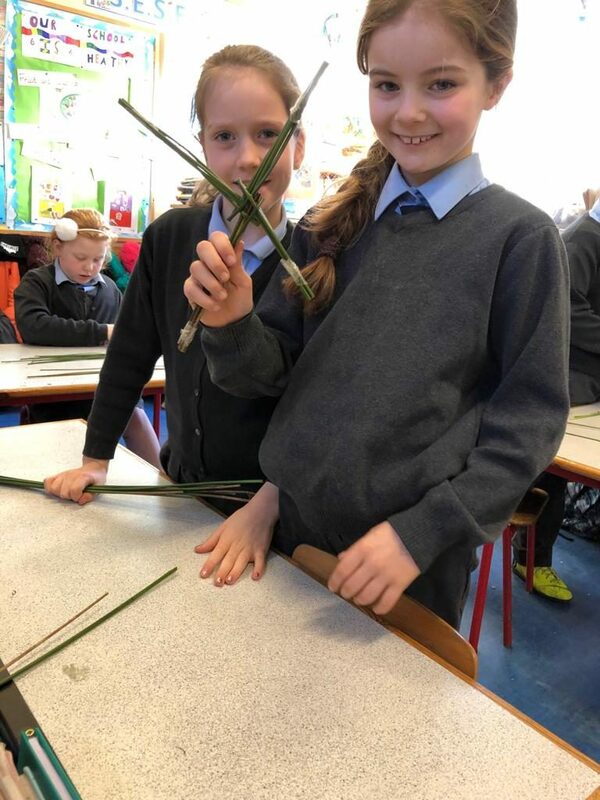 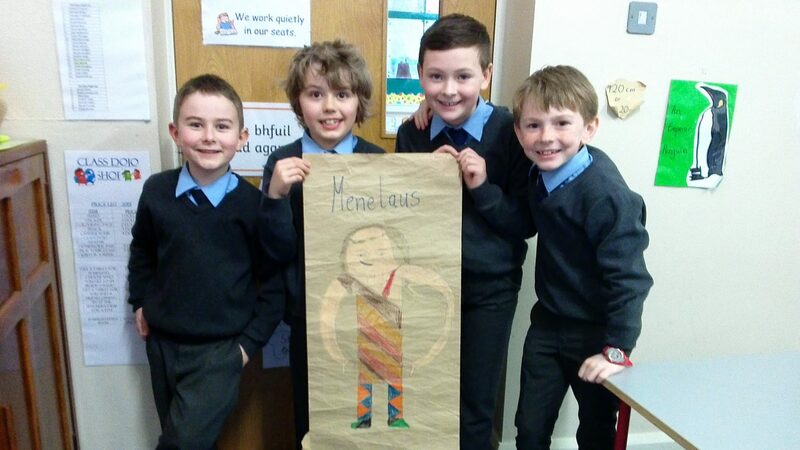 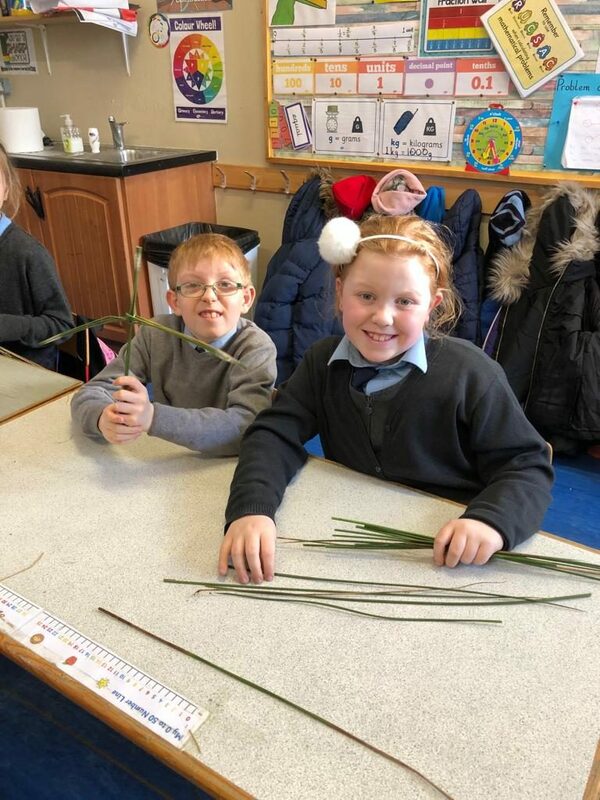 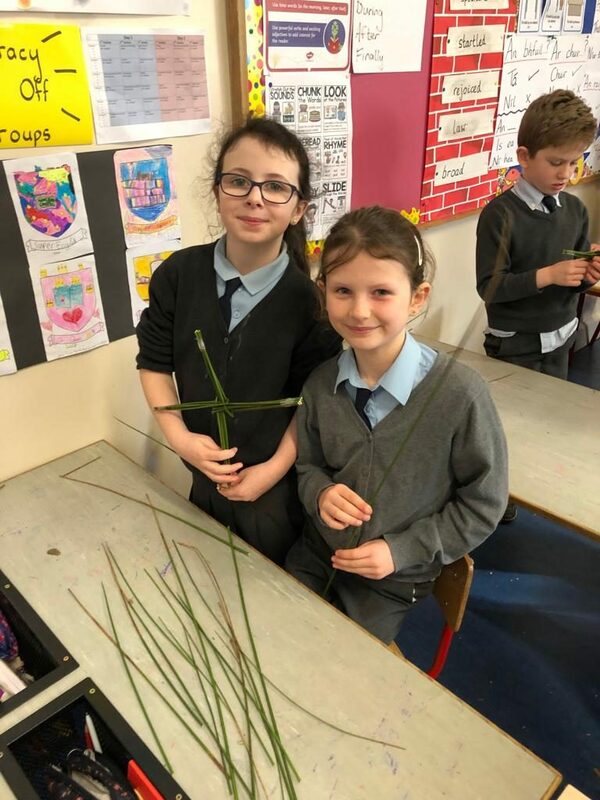 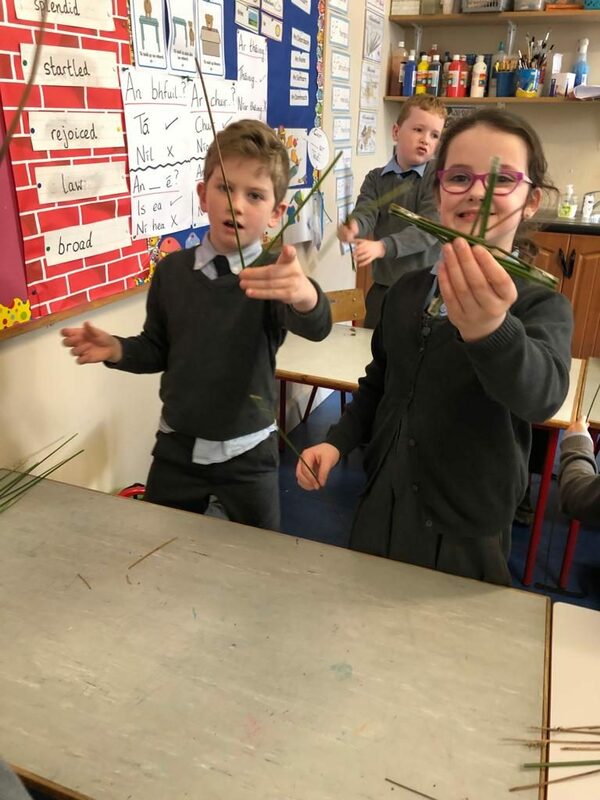 Pupils were busy learning about St Brigid and her life on February 1st and some classes made St Brigid’s Crosses. 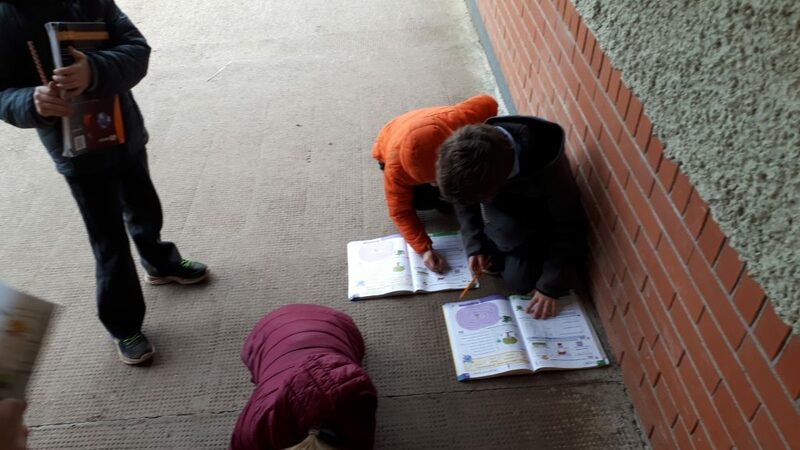 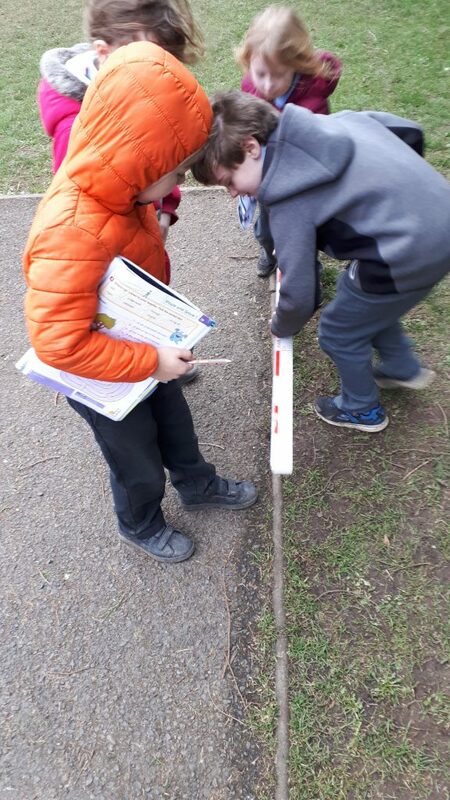 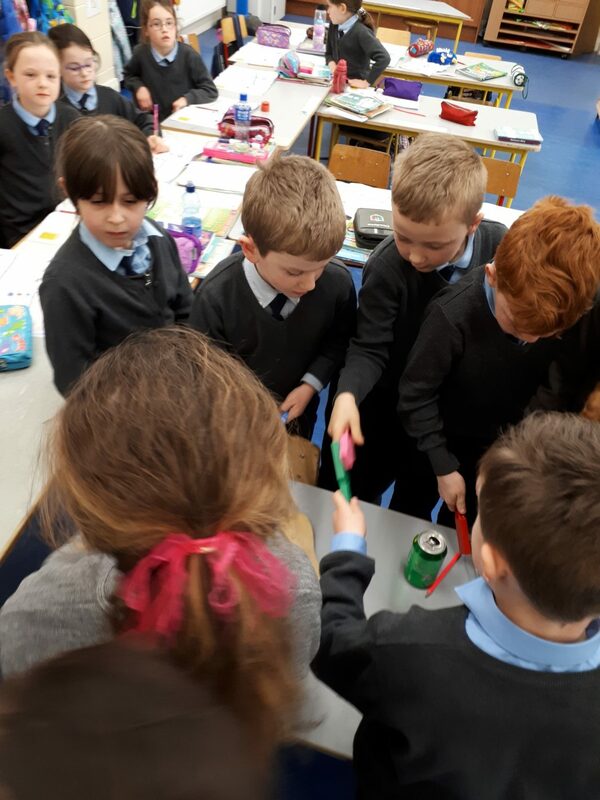 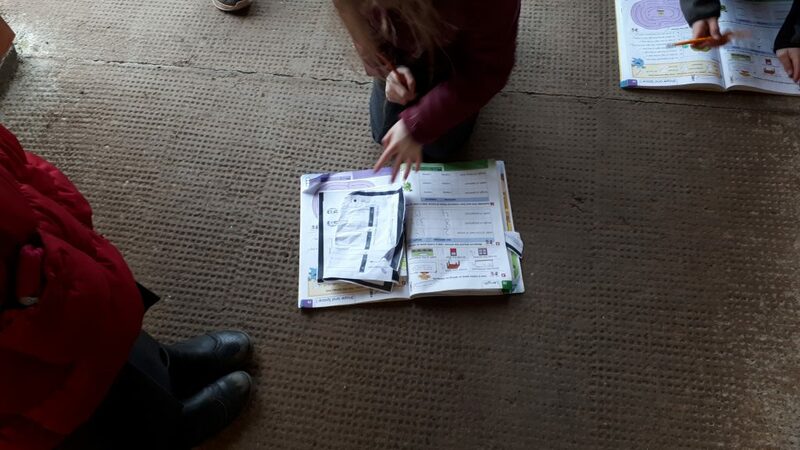 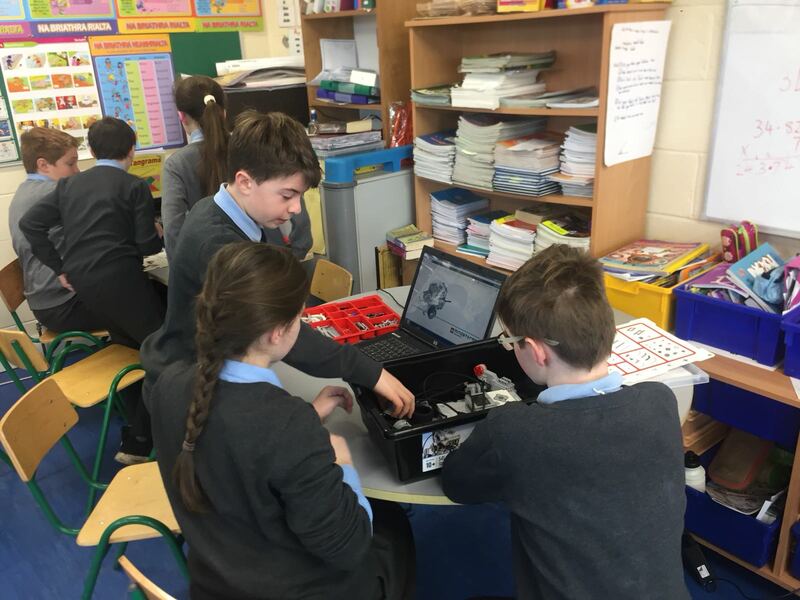 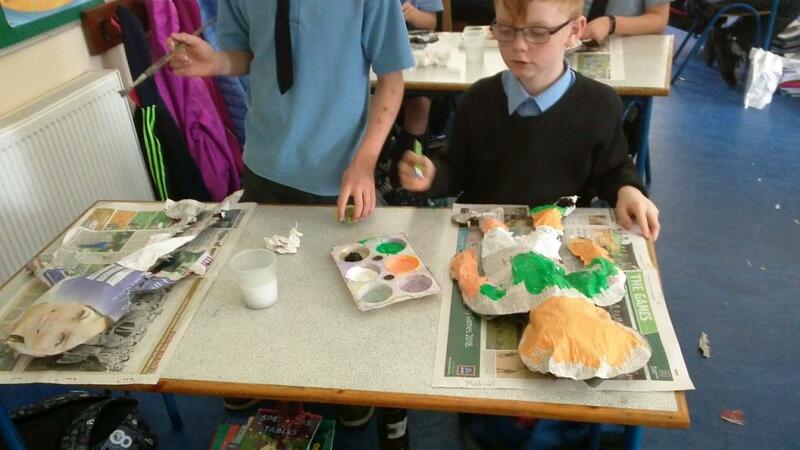 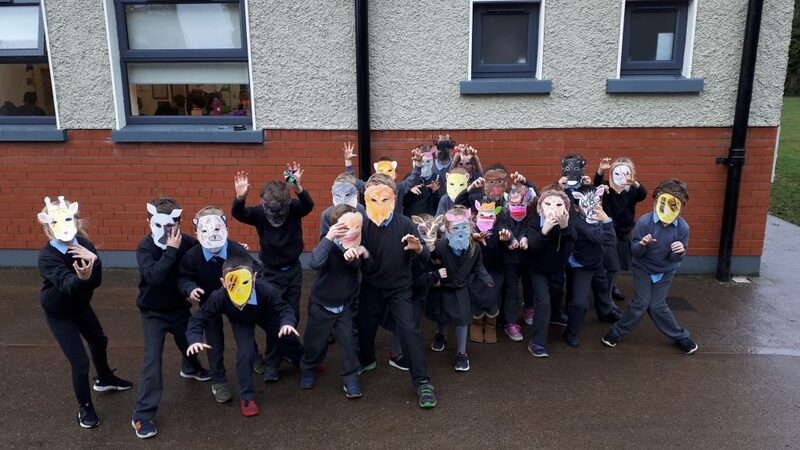 Here are some photos of 2nd & 3rd class working on theirs. 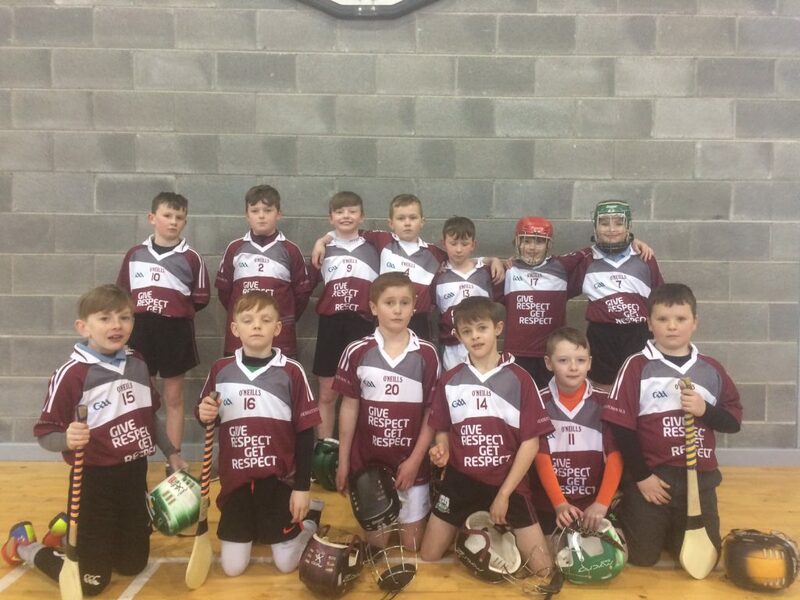 Congratulations to Kilkenny who narrowly defeated Galway in the final of the boys winter hurling league today. 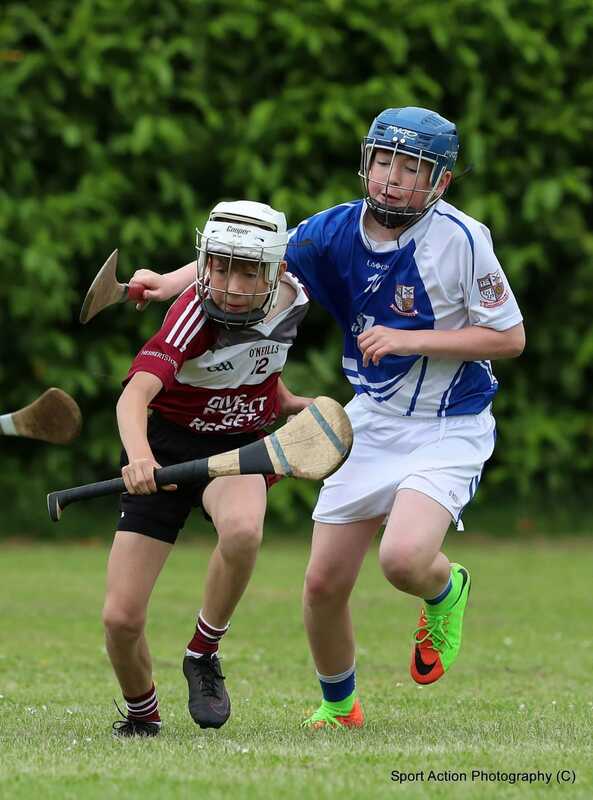 As one league ends, another begins. 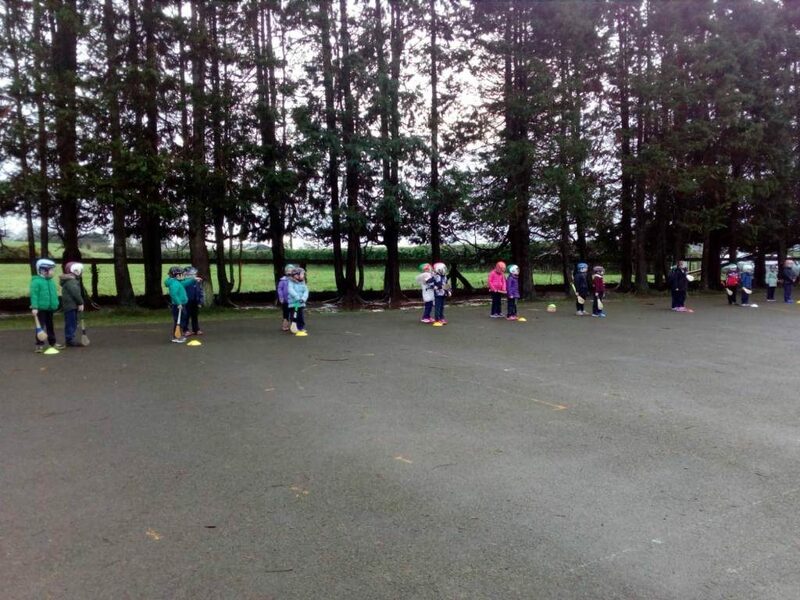 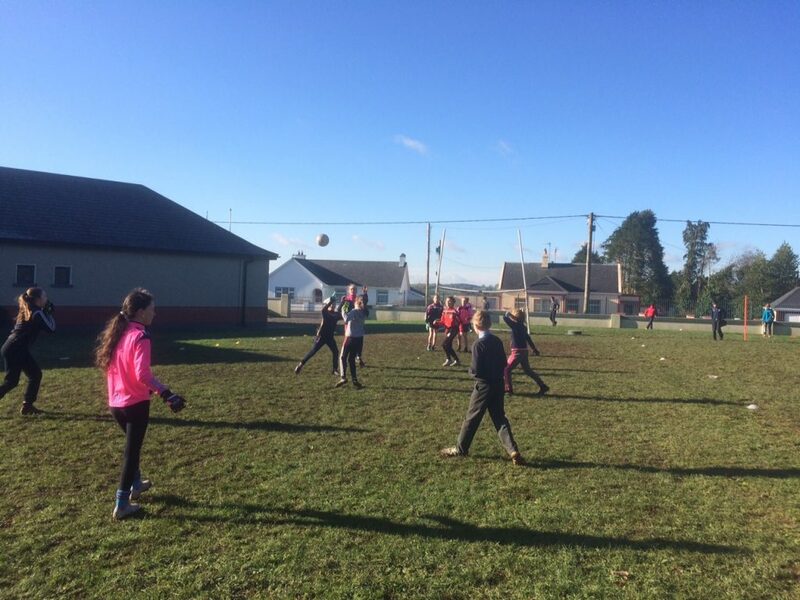 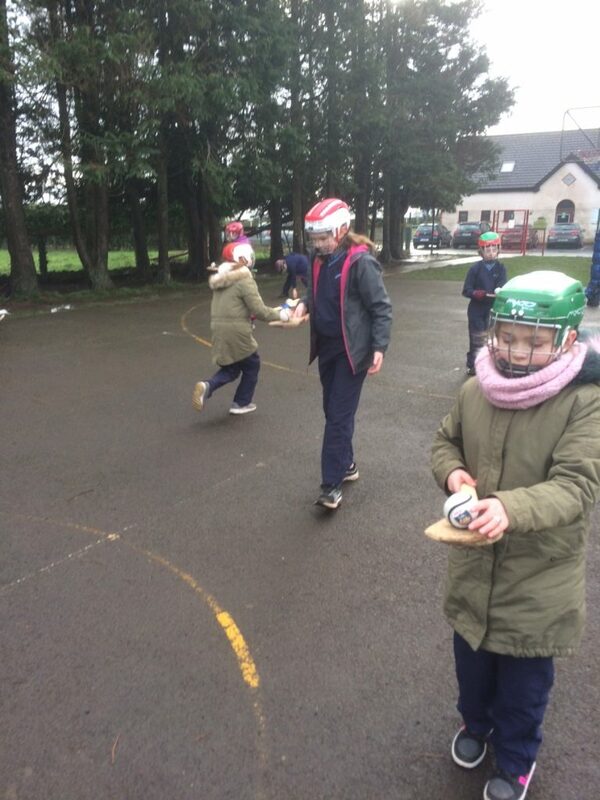 St Brigid’s Day marked the beginning of the girls football league.